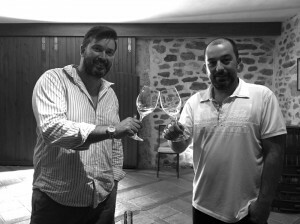 Separated by the Canal du Midi and the River Aude, face à face, watching each others viniferous progressions with an interest best described as sibling rivalry lies the Languedoc Leviathans, Minervois & Corbières. 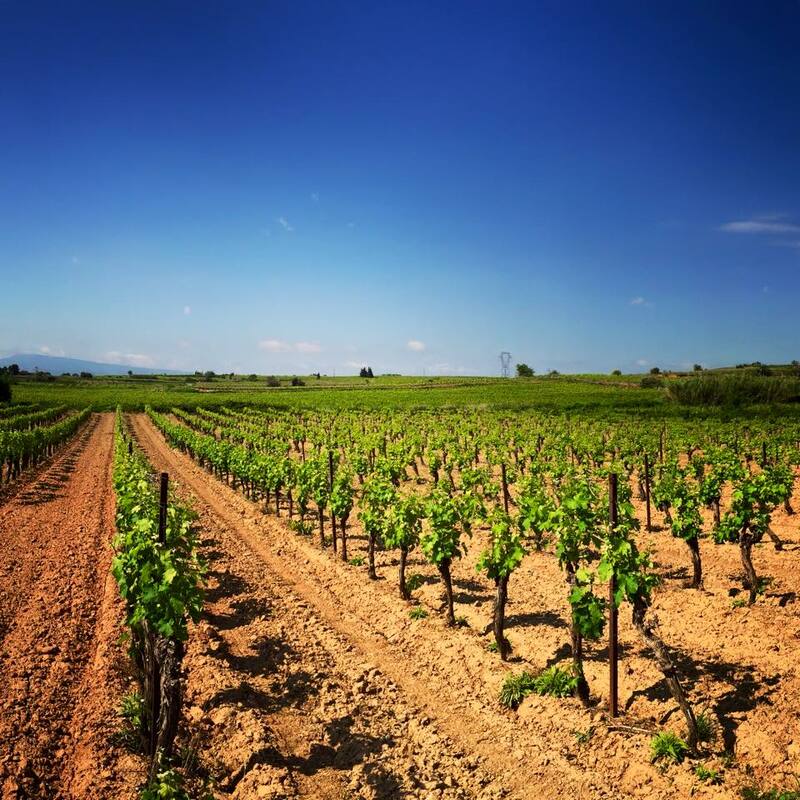 Here in the Languedoc diversity is key in all that makes this region so rich but none more so than in the effect that the regions extreme meteorological and geographical conditions play in shaping the wine we produce. Whilst sharing all that this beautiful region has to offer with our seasonal guests ( clients doesn’t sound as fun ! ) on one of our many wine based experiences at Taste Du Languedoc, the question often asked is “What is the difference between Corbières & Minervois”? It’s an answer that requires the assistance of Sight and Smell aswell as TASTE. 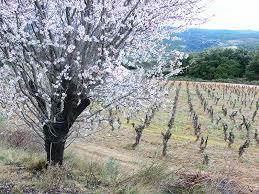 The Corbières is situated along the coast from just North of Narbonne and our West where it joins the Pyrenees. The situation of the Corbières close to the coast gives us a maritime climate ( Mediterranean) warm winds from the South and plenty of sunshine. The rocky unforgiving terrain of this hilly region provides poor soil meaning low yields but great tannic fruit that’s flavour is heavily influenced by the “Garrigue”, the flora and forna that rampages so readily as far as the eye can see. 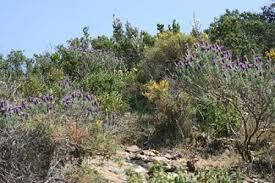 This Garrigue comprises of Rosemary, Thyme, Lavender, Mint, Pine and many wild flowers ( sounds like granny’s perfume !) The spores and pollen from this vegetation are carried on the wonderful ever-present wind and comes to rest on the maturing fruit. The rocky aspect of the hills also provides a wonderful clean minerality adding balance to big fruity, tannic, herbal reds. 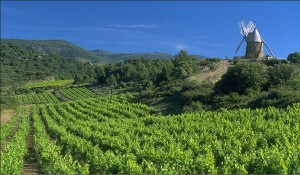 An AOP Corbières comprises of up to 50% Carignan ( the most used grape) but also: Cinsault, Grenache, Grenache Gris, Lledoner pelut, Mourvedre, Piquepoul noir , Syrah and Terret noir. A minimum of 2 red grapes must be grown, a maximum of 20% Cinsault is allowed and a max of 10% Grenache Gris. Carignan, Piquepoul noir et Terret noir together cannot make up more than 50% of the planting. Anyway enough Corbières, let’s get on to the Minervois, the home of all that’s great ! ( Ignore the biased ramblings of an obvious Minervois resident !) 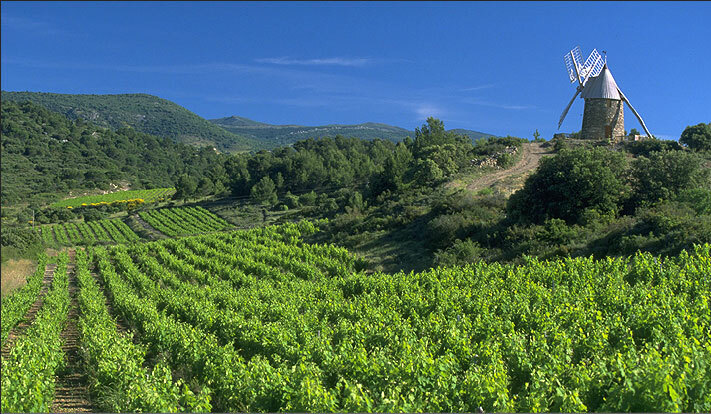 The beautiful Minervois, has over 5’000 hectares of lush green vines and rolling hills. Resplendent and basking in sunshine, the Minervois is sandwiched in between the Black Mountains and the Mighty Corbières. The Garrigue of the Corbières may fill our nostrils with herby loveliness but the eye candy that is the soft green fruity Minervois definitely helps us to understand the flavours we find in a glass of AOP Minervois or Cru La Liviniere Minervois. Soft fruity reds grown on Argilo Calcaire, Grés and rocky poor soils to the varying soil from the North of the foothills of the Black Mountains and the warm southern winds ( Marin) provide a warm huggy climate that assist maturity but can also invoke rot / mildew if the obliging tramontane wind doesn’t appear to provide a cooling breeze that refreshes the vines. Irrigation is readily supplied in places by the Lac du Jouarres amongst others and is at times a necessity as it gets hot here ! All of this sunshine gives us wines that are typically full of red fruit flavours, supplied from the Syrah, Grenache & Mourvèdre blends readily found here. The Minervois is typically an area making wine to be drank young ( the wine that is !) but recently producing bold fruity oak aged wines that are great with food like ( grilled meats, stews etc……) and that will keep for up to 10 years. Whites are light and fruity to be drunk straight away !! White grapes here are very interesting, Viognier, Marsanne, Roussanne, Macabeu, Bourboulenc, Clairett blanche & Muscat. Not the sort of thing found globally in abundance but doing well here. Corbiére – Rocky, Unforgiving, Robust, Fruity, Tannic Garrigue. Minervois – Soft, Round, Fruity, Complex & Fragrant. Probably best to taste them all again anyway ! cheers ! Here in the Languedoc we are going through a pretty confused period ! 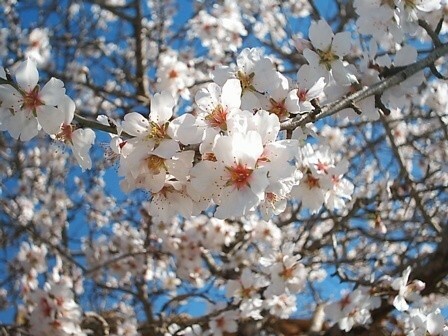 The almond blossom is in full swing, daffodils are showing and today I saw a builder in a vest and shorts ! The risk is real and while we enjoy the untimely warmth that nature is providing at the moment, spare a thought for a sparse harvest this year for all our fruit and veg. 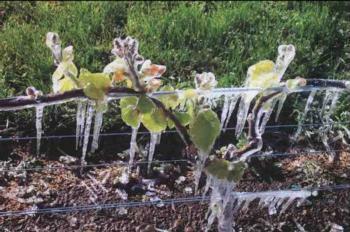 The subject of frost damage is a vast and complex subject with a huge amount of variables concerning cause and effect. The climate of the growth origin is the greatest factor for obvious reasons ( although current climate trends are turning this issue on its head !) and although there are ways in which we alleviate or impede the effect of frost damage via the use of expensive artificial in-vine heating systems or wind based machinery or even direct cover, we are actually always in the hands of what mother nature is giving us in any given year. Grape variety is also lending a hand in the ongoing struggle against frost, as a now available huge variety of grapes bud at different times of the year and at different speeds. However the best grape variety concerning frost may not be the best geographically or indeed may not play a part in AOP’s or other regional appellations. Whilst insurances are available against frost, hail and other natural threats to growth, they are not cheap, so not an option to all producers. Risk will always play a part in the production of all arable farming and anxious farmers will always have to find new ways of dealing with climate change. 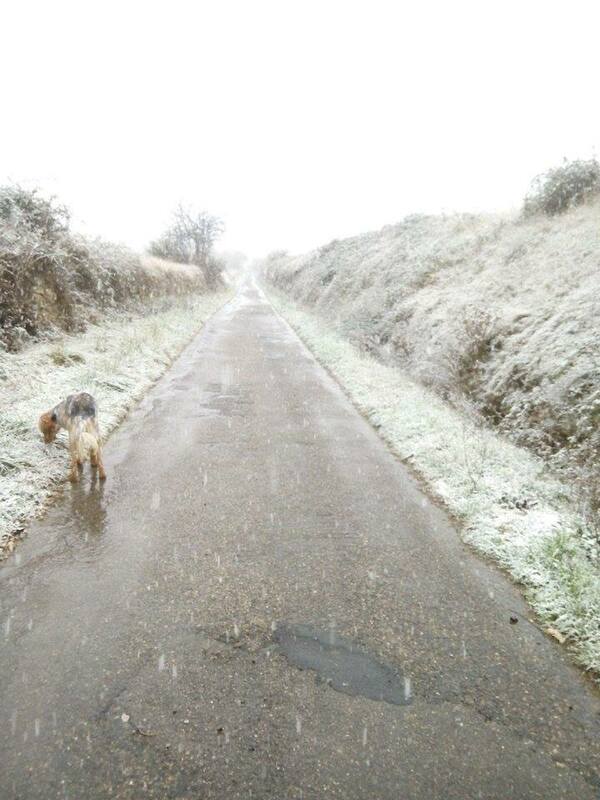 Right now in the Languedoc, we all have our fingers crossed! This month you can discover more fantastic wine info, facts and tastings at Vinisud in Montpellier (15, 16, 17 Feb ) – wonderful wines, whatever the weather! 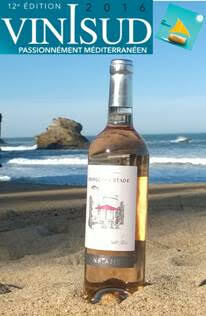 #Languedoc and support your local producers ! whatever the price ! Happy Reading, Happy Drinking, Chin Chin ! Happy New Year one and all ! January in the Languedoc is glorious if you’ve just returned from nearly 3 weeks in the U.K with floods & extreme winds ! Last week walking the dog in the vineyards with 26 degrees and observing all the vignerons pruning and taking stock of their vines in anticipation of spring certainly fills one with the realisation that spring is just around the corner. Reds still seem to be a seasonal favourite in our bar à vins ( InspiréAzille) but rosé weather will soon be with us as clients start booking for spring & summer wine tours in the Languedoc, we are reminded how short our winter really is. But today we have snow !! 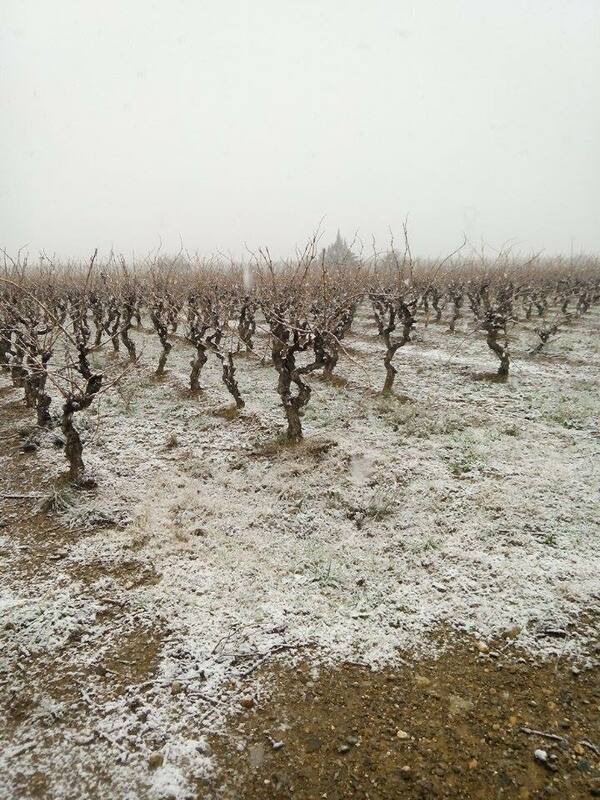 and how wonderful and beautiful the vineyards look, the children of Azille are all very happy in their wellies but i’m afraid it will be short lived, here in the Languedoc the snow rarely lasts too long, but for now we will wonder in the bright beauty of it and sip some more hearty reds next to the fire !